Last week I was at the Dutch Joomla BootCamp, which was organised by our friends from Jira. Johan gave one of his famous unstoppable sessions about the Joomla framework and the MVC model. Jisse talked about templates, and brought along the very first copy of his new book on templates (a rather thorough one I must add, it goes beyond any book on templates I’ve seen — too bad it’s in Dutch only for now). 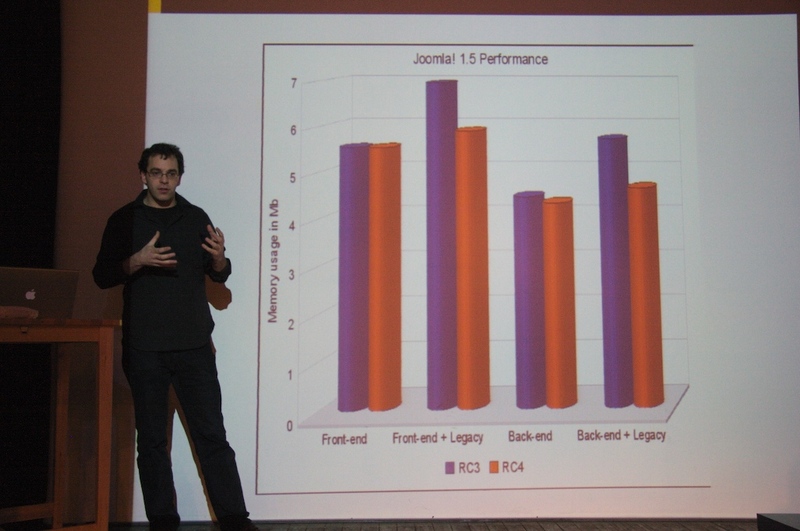 Finally, I gave a presentation about migrating a Joomla! 1.0 site to Joomla! 1.5, and took the opportunity to announce the migrator plugins for DOCman. Com_migrator is a component written by J! Core developer Sam Moffat. The latest version 1.0RC6 was released this week. You install it on your old J!1.0 site (or even Mambo!) and it will take a snapshot of your database. During the installation of J!1.5, you can upload the snapshot (an SQL file). The new site will now contain the contents of the old site. A great feature of com_migrator is the ability to load additional plugins for 3PD extensions, such as DOCman. These plugins expand the snapshot with the data from the extension. With a little knowledge of phpMyAdmin, you can also use the migrator to copy data from a DOCman installation on a site to an existing J!1.5 installation. You can download the DOCman migrator plugins at Joomlacode.org, where you can also find the com_migrator component. Extract the plugins’ zip file and read the included README.php file for detailed instructions. We’ve also opened a new forum category where you can discuss DOCman migration.